8:00 AM to 4:30 PM Monday through Friday, including the noon hour. Take the Alhambra Avenue off ramp. Head north on Alhambra Avenue and drive for approximately 3 miles. Turn right on Escobar Street and make a quick left into the parking lot. Take the Marina Vista off ramp. 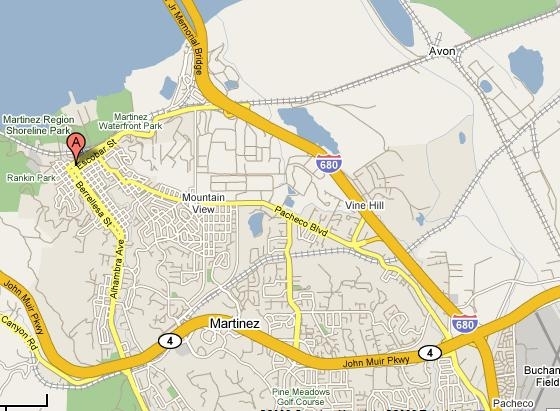 Turn left onto Marina Vista and drive for approximately 1.5 miles. We are located directly across from the train station.